When you vacation at your Villa del Arco timeshare you can be sure that you’re going to have fun in elegant surroundings. 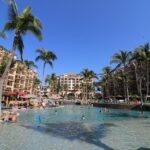 Your home away from home in Cabo San Lucas, Villa del Arco timeshare is certainly among the most stunning timeshare resorts that The Villagroup operates. The beautiful and elegant accommodations on offer to timeshare owners and hotel guests are undoubtedly the best in Cabo San Lucas! 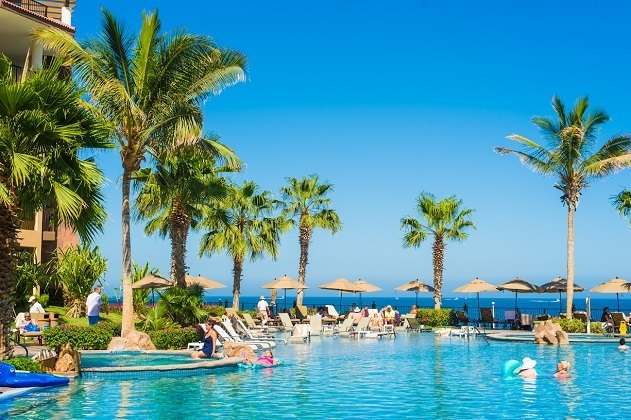 Nevertheless, Villa del Arco timeshare in Cabo San Lucas, is but one of the many locations available to Villagroup timeshare members; as the owner of a Villa del Arco timeshare you have the privilege of staying in any of the other timeshare resorts operated by The Villa Group Timeshare in Mexico. This includes fabulous resorts in Cancun, the Islands of Loreto and Puerto Vallarta. The best way to ensure that you have fun when using your Villa del Arco timeshare is to take advantage of all that the resort has to offer! The gorgeous Desert Spa and beauty salon shared by both Villa del Palmar Cabo and Villa del Arco is a must for you to experience while on vacation. The custom-designed, three floor building is located on site between the two resorts. If that’s not enough to make your timeshare investment the best on the market, then there are also a number of pools and gourmet restaurants to enjoy, including a restaurant in the shape of a pirate ship which is moored in the main pool! 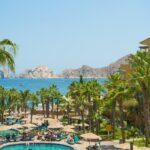 The location of the Villa del Arco timeshare resort is a key selling point; Villa del Arco is just a pleasant fifteen minute stroll down the beach from Downtown Cabo. You can also choose from a number of amazing activities; you can take whale watching trips, try swimming with dolphins, enjoy off-track tours and even indulge in ride a camel along the beach or visit some local villages. After all that excitement, your Villa del Arco timeshare will be waiting for you with all its modern conveniences, comfort and elegance. 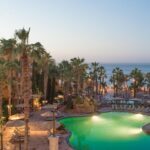 Designed with luxury and opulence in mind, Villa del Arco timeshare resort is the best option for luxury travelers looking for a place to call their own.